Vasco Martins tells us about his recent research on citizenship in Angola, which has recent been published in Citizenship Studies. Vasco is a researcher at the Centre for International Studies, ISCTE-IUL, in Lisbon. 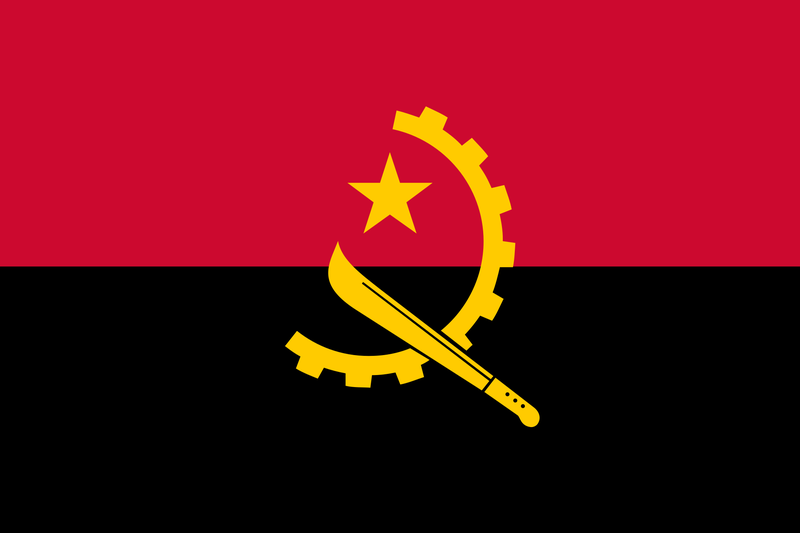 The first article of the constitution of the Republic of Angola states that the country is a sovereign republic based on the dignity of the human person and the will of the Angolan people, with the fundamental objective of building a free, just, democratic and solidary society, of peace, equality, and social progress. Attentive observers of Angolan politics and society will be familiar with these words. Many of those who oppose the practices of the Angolan regime refer to this article of the constitution to expose the deep contradictions that characterise life in Angola. Their protest for substantive citizenship is juxtaposed by the increasing wave of inequality that is sweeping parts of southern Africa. Rather than responding to such protests, authoritarian-leaning regimes may ignore the rights of those less politically and economically integrated in society, furthering their marginalisation. I explore some of these issues in a recently published article in the journal Citizenship Studies, entitled ‘Politics of Power and Hierarchies of Citizenship in Angola’. My argument, here summarised, is that the Angolan political system was built in ways that create an oscillation between inclusion and marginalisation in individual’s access to citizenship rights. There is an inherent difficulty in characterising the individual and this oscillation in accessing citizenship, indicative of the how little we know about the topic in Africa. On one hand, those publications that work with concepts of citizenship in the continent mainly focus on the formal, legal rights of citizenship. As such, it is not surprising that this literature assumes that citizenship is a binary construction by default, ignoring the predicaments of informal aspects of citizenship. On the other hand, many studies of citizenship in Africa deal with the stranger, the outsider, or the foreigner, often the migrant, sometimes the autochthone, but usually the ‘other’ (the non-citizen). This article looks specifically at the national, the person who would be described as a citizen but has so little access to the rights of citizenship that the term can hardly be applied. Rights, in this case, refers to the Marshallian triad of the civic, political and social rights of citizenship. Analysis of the power dynamics within illiberal democracies such Angola, where elites have at their disposal mechanisms to grant and manage access to citizenship rights (thus challenging universal claims of membership to the state) have rarely been addressed in this literature. The existing Angolan political system reflects a decade-long construction of two crucial elements: the hegemonic power of the MPLA (Movimento Popular de Libertação de Angola) party-state, particularly after the end of the civil war in 2002; and the centralisation of power in the person of the presidency, often at the expense of the party itself. Such an organisation of power has created a system whereby citizenship rights are not universally attributed by default but rather treated as a privilege that can be managed and conceded at will. This very large and complex system of governance essentially sponsors clientelism as the primary mean of social mobility, by the way it distributes and allows access to the resources of the state, the only gateway to the national economy. Those outside clientele networks are bound to remain marginalised from these resources and consequently from full citizenship, a tendency dramatized by the profound dependency people have of the state on a daily basis. This, I argue, is when an oscillation in accessing citizenship rights begins to occur. For a number of different reasons and at different periods in history, individuals have been included and marginalised from citizenship at the same time – while legally remaining national citizens – a phenomenon perhaps more frequent during electoral periods, when party strategies produce different considerations regarding the validity and usefulness of individuals for the political process. The article also unpacks some of the mechanisms that Angolan elites have at their disposal to manage access to citizenship. It argues that strategies of marginalisation – from fear to violence – that feed off citizen’s dependency and poverty, are the primary reason for the oscillation between inclusion and marginalisation. To remain uncontested, the regime applies these strategies using its corresponding technologies, such as selective empowerment or disbarment, demolitions, forced removals, and relocations. To avoid these strategies, one must become the ideal type of the ‘good citizen’. This model of citizen refers not to the freedom fighter, the party cadre, the farmer ‘peasant’ or the autochthone but to the ‘bajulador’ or groveler, the one who serves as an instrument of defence and maintenance of the political status quo of the elites. This is primarily achieved through proof of party loyalty, the primary vehicle for receiving some sort of compensation. The end result is that only through the party or through personal association with elites and ‘Big Men’ are Angolans able to experience the state and its benefits, a process that is nevertheless subject to an oscillation vaguely defined by the utility of the person in question to the politics of the regime.